To calculate the anticipated patent, trademark or design renewal cost during a select period: (i) log into your portfolio; (ii) click the “Cost report” button; and (iii) select the start and end dates. You can also filter renewals based on reference numbers or business units. 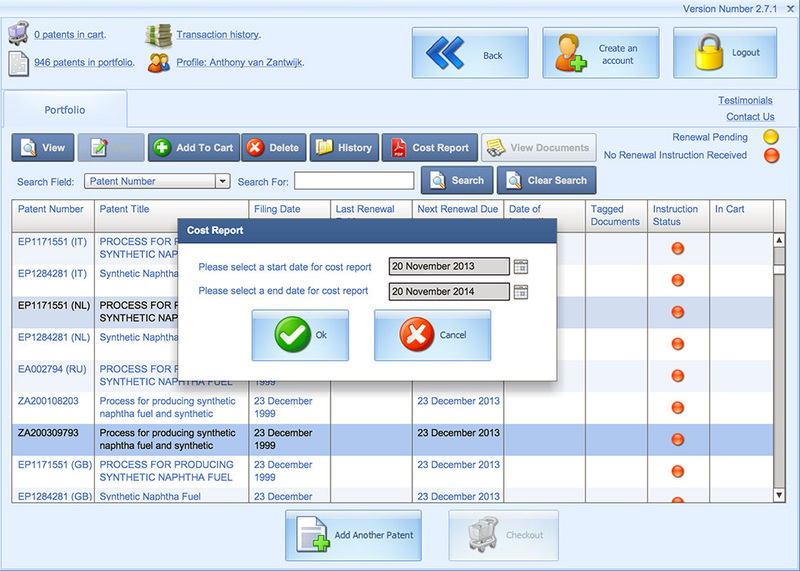 The report can be provided as a PDF document or as an XLS file. The renewal cost report provides the upcoming renewal cost for each patent, trademark or design in your portfolio as well as the total renewal cost for the selected period. 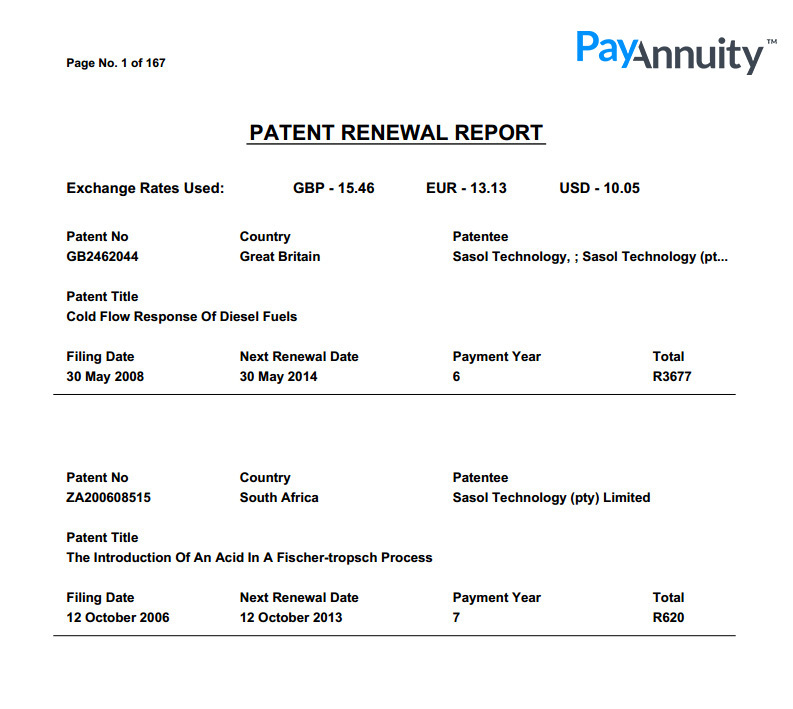 Renewal cost reports are based on the current currency exchange rates and represent the actual annuity costs, if instructed on that day. Many of our clients use the annuity cost report function to estimate renewal costs for the upcoming financial year and to monitor usage of the budgeted cost throughout the year. This is particularly useful where adjustments are required due to currency exchange rate fluctuations.